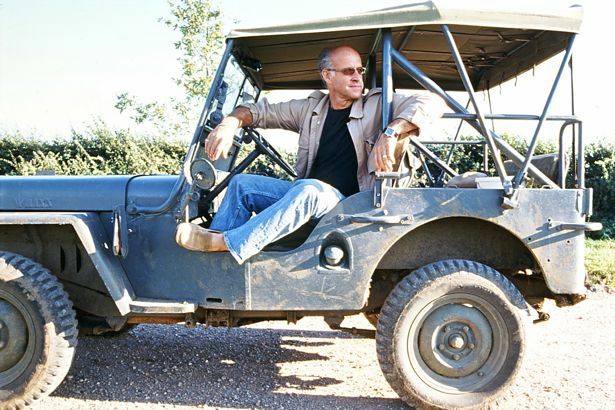 From founding luxury fashion brand Mulberry to farming organic spelt, when Roger Saul has an idea, he runs with it. Since leaving Mulberry in 2004, Saul bought land, invested time and effort into research and founded spelt brand Sharpham Park. Now, 11 years on, he’s launching Spelt, a cookbook to inspire wholesome and healthy eating using “the wonder grain of the moment.” We chatted with the entrepreneur about his exciting new venture. theFashionSpot: Fashion is very different to food. How did you get into working with spelt? Roger Saul: Having left Mulberry in 2004, I turned my hand to food. The land that surrounded my home was up for sale and I decided to buy it with a view to farming grains. I was becoming increasingly aware of the major health benefits of spelt and the importance of a high-fiber diet via my sister Rosemary, who was suffering from cancer. She was trying to find a diet that would rebalance the alkalinity and acidity in her body. Nobody was growing spelt commercially in the U.K., it was still being grown in Germany, France and Italy, so I bought some seed and did a few field trials. I was so excited about this new venture and the race was on for me to grow this amazing grain and turn it into wonderful food products. Over time we learned how to farm organically, and we built a flour mill using the age-old method of stone milling. We became the only dedicated spelt mill in the world. We established ourselves as a brand, Sharpham Park, and restored a 1,000-year old deer park into a 300-acre organic estate. Soon, I had a number of farmers growing crops for me. We weathered good summers and bad ones; we learned by mistake and good fortune. In July 2008, we opened our farm shop and Sharpham Pantry restaurant. Here, we learned how to make everything from bread to cakes, pizzas to pasta, pearled spelt to waffles and realized that you can actually make anything from spelt that you could do with wheat. We set out to create the farm to fork dream. tFS: And then how did the book come about? 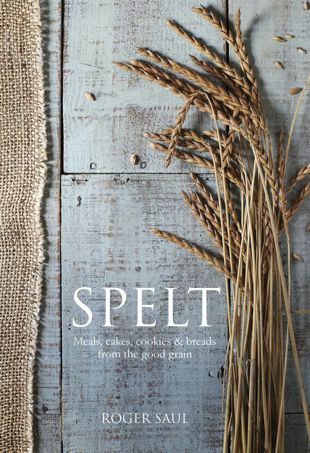 RS: I had wanted to write a book about spelt since I’d started working with it and was approached by my publisher three years ago, so I jumped at the chance. Having written my first book, Mulberry at Home, I thought another one would be a doddle. How wrong I was! It’s taken two and a half years, and it’s involved home economists, food ghostwriters, guest chefs, photographers, agents, publishers, nutritionists, editors and lots of writing and rewriting sections. During this time we have had a worldwide spelt shortage, prices have rocketed up and down and we have been down to the last ton of spelt left in our mill. tFS: What can people expect from this cookbook? RS: Spelt is made up of a unique collection of homely, wholesome recipes, inspired by my own most cherished family meals. It aims to inspire new family favorites. One of the personal highlights for me is the Moroccan-Spiced Lamb “Speltotto,” and the Summer Raspberry Cake is great, too. There are ideas for all occasions, from smart dinner party mains to quick weekday snacks. tFS: And who’s this book for? RS: Everyone! Spelt has a wonderful nutty taste and anything you cook or bake with wheat, spelt can do better! It has many nutritional benefits and boasts slow-release energy. For those with wheat intolerances (one in eight in the U.K. suffer), swapping in spelt can make a huge difference. tFS: Which chefs inspire you? RS: There are so many. Mark Hix is the most amazing chef, he has created a number of special spelt recipes for the book and we are hoping to do more things together in the future. Elsewhere, Sven-Hanson Britt (who was a finalist in MasterChef and just left the Ritz to pursue the next step in his career) is one of the most exciting young talents in the U.K. — watch this space! Trine Hahnemann has been an inspiration to me with her Nordic diet and finally, Signe Johansen, who helped me write the book. tFS: When it comes to food, who is your biggest critic? RS: I’d say my son Freddie; he’s a great natural cook. I have to think about it, but he just does it! tFS: What’s the best cooking tip you’ve ever learned? RS: For years, I’d been boiling asparagus until Tamasin Day-Lewis told me to grill them with butter. Try it. She’s right, it’s so much more delicious this way and it really locks in the flavor. tFS: Where’s your favorite place to eat in London? RS: I love Claridge’s. I am a great admirer of the head chef, Martyn Nail. The service and his food are impeccable and charming. tFS: What’s your go-to comfort food? RS: Cheese spelt straws. After a long day’s work, I can demolish a pile before dinner, which tends to make me very unpopular at home! Buy your copy of Spelt online now.